Made from scratch! Baked fresh daily! ​Come try our breakfast and our made from scratch lunches! 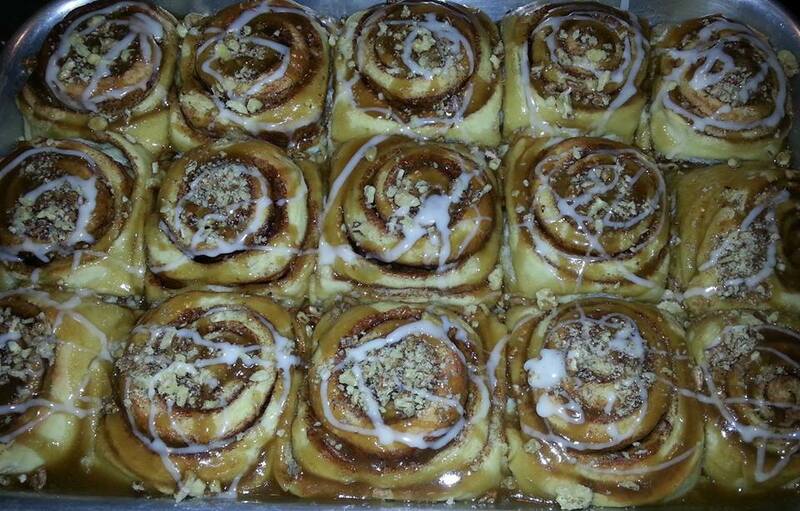 ​Post your pic of eating a "Ooey Gooey" Cinnamon Roll on our FB page and get $1 off your next roll! Want to make a special breakfast? Have a cheat day and you just love cinnamon rolls? Whatever the occasion...we got you covered! ​You will love these rich, fresh, "Ooey Gooey" Cinnamon Rolls! ​Or call us with your order! ​We do small office meetings to large catering events. Having your wedding in Brown County? We have your breakfast covered! We will deliver catered orders! Also serving a light lunch of specialty soups and sandwiches! ​Come check us out! Visit and like our Facebook page for the "Deal of the Day"
​Ask about our "Repeat Customer Deal"